Most people watching movies become absorbed in another world for roughly two hours. We indulge in the fantasy of the drama, action or comedy of imagined people and fictitious worlds. But some films actually do pass along lessons that translate to the real world. Here are five movies that offer great financial advice worth remembering. 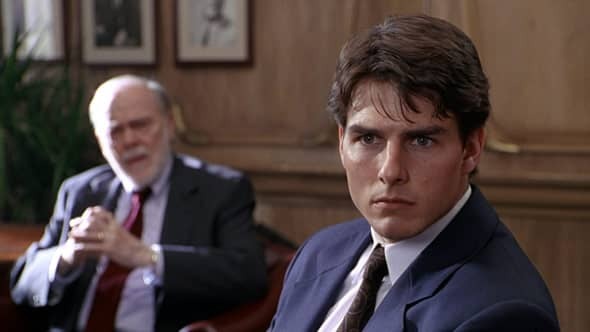 The story: Sports agent Jerry Maguire starts to feel like he’s selling his soul while working at a major sports agency. He excitedly shares a new philosophy about putting clients and relationships first and profit second, but it backfires and he is let go. Jerry starts his own sports agency but ends up with only one client, a football player with attitude. Jerry works hard to get him everything he’s worth and tries to improve his outlook. He struggles but his determination pays off when he scores his client a major NFL contract. The lesson: This movie is a great reminder to fight for your integrity and what you believe in. Jerry’s character also shows ambition and entrepreneurship. This film reminds us that doing what you love and staying true to yourself is worth more than money can buy and hard work pays off. The story: A major shipbuilding company downsizes during the recession and lets many employees go, including Bobby Walker. He had become accustomed to a life of luxury, with a Porsche, country club membership and a large house with a major mortgage. After getting laid off, he’s forced to give up the luxuries, including his house. He, along with his wife and kids, have to move in with his parents. Walker, who used to make a six-figure salary, has to take a blue-collar job doing manual labor. He eventually gets hired by a former executive from his company who left to start his own business. The lesson: Walker’s lifestyle was wonderful as long as he was getting a six-figure paycheck, but it was unsustainable once he lost his job. It is an important lesson in saving, preparing for emergencies and living within your means so you don’t lose your home and car if you lose your job. Despite his flaws, Walker shows resilience in the face of financial difficulty. 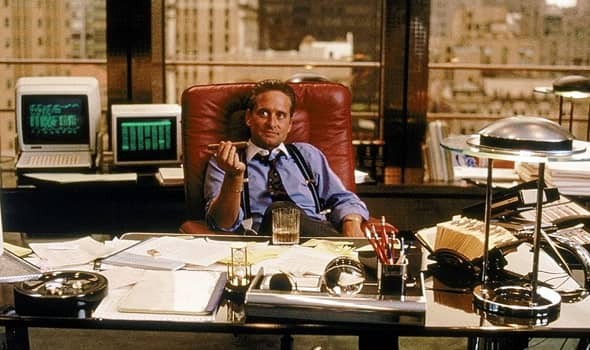 Desperate to get Gekko’s attention, Fox gives him insider information about his father’s company, a struggling airline. Fox is taken under Gekko’s wing and finds himself living life in the fast lane and in the midst of shady business deals. Eventually Gekko targets the airline where Fox’s father has worked for more than 20 years. He plans to break up the company and leave everyone unemployed and without retirement funds. Fox realizes he’s gone too far, so he double-crosses Gekko to help save the company. He is arrested, but he catches Gekko on a wire admitting to the insider trading deals. The lesson: “Wall Street” offers a great example of what happens when money goes to people’s heads. Money – both too much of it and not enough of it – can cause people to be irrational and make poor decisions. Bud starts to realize while he may be rolling in cash, his business dealings are hurting innocent people. He sees greed is not good and money isn’t everything in life. 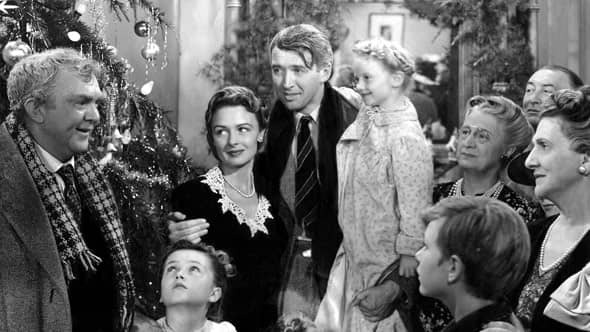 The story: While typically considered a Christmas movie, “It’s a Wonderful Life” has one very valuable money lesson – your financial situation doesn’t have to define you. George Bailey feels deeply obligated to his town and passes up on his dreams for the good of his community. He feels bound to stay and keep running the family business. When a large check goes missing and he is blamed and arrested, he realizes the company will collapse and his nemesis will take over the town. He becomes suicidal when a guardian angel appears and shows him how much he means to his family and community and how much worse the world would be without him. He realizes life’s worth living. The lesson: Losing money or your business may feel like it’s the end of the world, but it shouldn’t define you. Nearly everyone experiences financial setbacks and struggles at some point in their life, but it doesn’t mean you’re a failure. There are always solutions and people to help you. The story: Mitch McDeere, a young lawyer fresh out of Harvard Law School, gets recruited by a firm with an offer too tempting to pass up. Amazing pay, a nice car and a free home are just some of the perks. When some other associates turn up dead, he realizes the firm has ties to the Mob. He learns any associate who tries to leave dies. He’s approached by the FBI and ends up making his way out alive. The lesson: Some things in life are too good to be true. If an offer seems unrealistic, be skeptical and do some investigating before you accept. You probably won’t get caught up with the Mob, but scams abound, especially in the Internet age.